Mostly Positive (300) - 75% of the 300 user reviews for this game are positive. 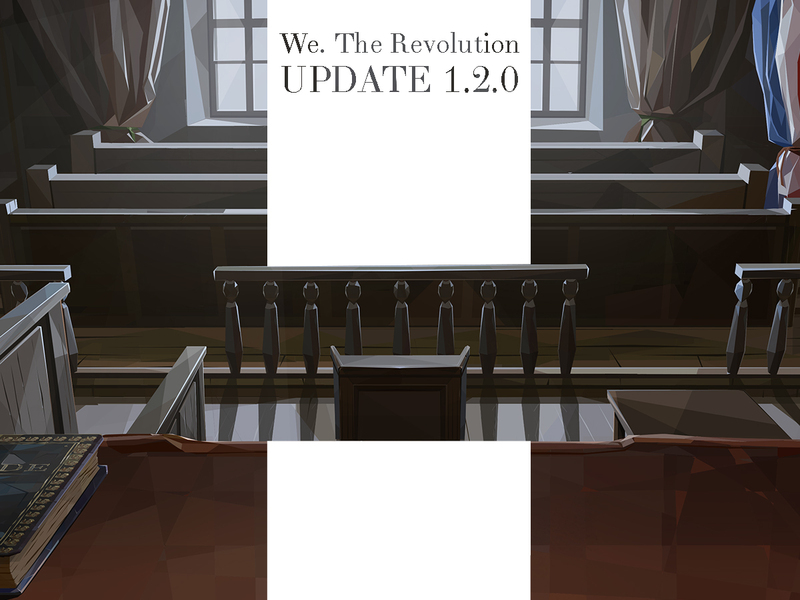 Huge update just before the weekend! - Added a possibility to win the dice game with Bruno and save your son’s hands. Alternative cutscene, dialogues and family action included. We. The Revolution - New Gameplay! Liberty, Equality, Fraternity...or Death! Are You ready to choose? Your career or your family, your prosperity or their misery? It is easy to judge stranger people but how will you manage to adjudicate upon your dearest? See We. The Revolution New Gameplay! Discover the unusual visual style blending the simplicity of polygons with neoclassical art from the revolutionary era. We. The Revolution is a symbolic story, loosely based on historical events from the time of the Great Revolution. Experience life in a time of revolutionary upheavals! It is possible to condemn a person to death by beheading, but the act is not displayed on-screen. 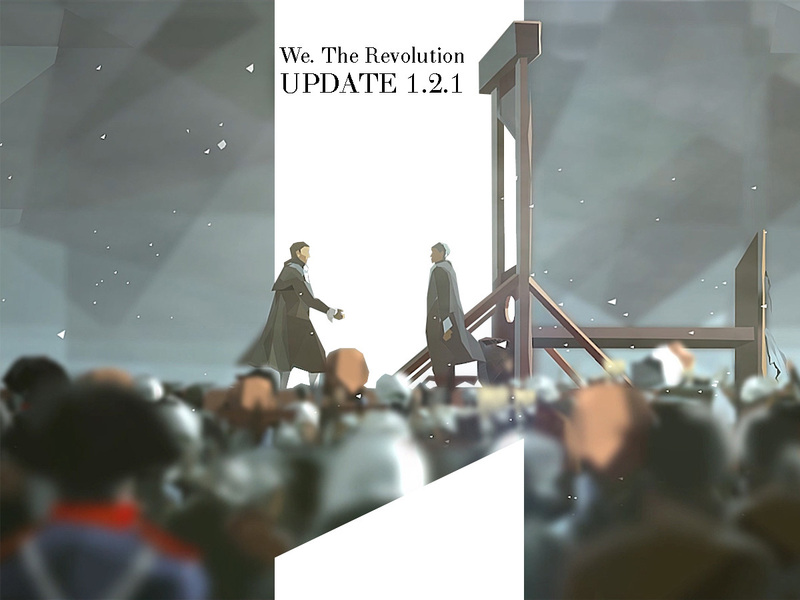 Instead, only the guillotine and crowd reactions are shown. The game contains text references to violence and sexual assault. Additional Notes: The game currently only works in windowed mode on SteamOS and Linux operating systems. Polyslash; Klabater 2019. All rights reserved.